I'm looking for the state of the rust behind the front-left mud splash and I'm having trouble to remove a clip. 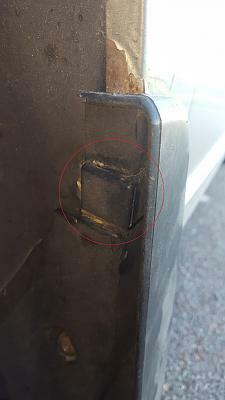 As you can see on the picture attachment, it's a metal/plastic clip. I want to be sure for "how to remove it" because I don't want to damage it. Are there anyone who know how to remove this piece correctly?